-- Моля изберете --Без MINIX NEO V1 HDMI - VGA Adapter Със NEO V1 HDMI - VGA Adapter + 35,00 лв. Build it the way you want it. A customizable Mini PC kit with a dual-core Intel® Celeron® processor, giving you the power of a desktop PC in a small kit that is perfect for basic 4K digital signage, PC replacement, and home PCs. 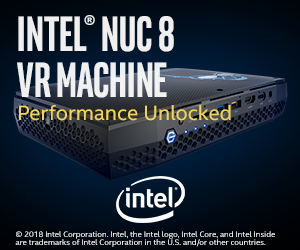 The Intel NUC: Go small to get big.